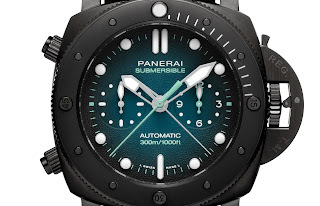 but that was clearly just the tip of the iceberg for what has been an incredible Submersible lineup for SIHH 2019. 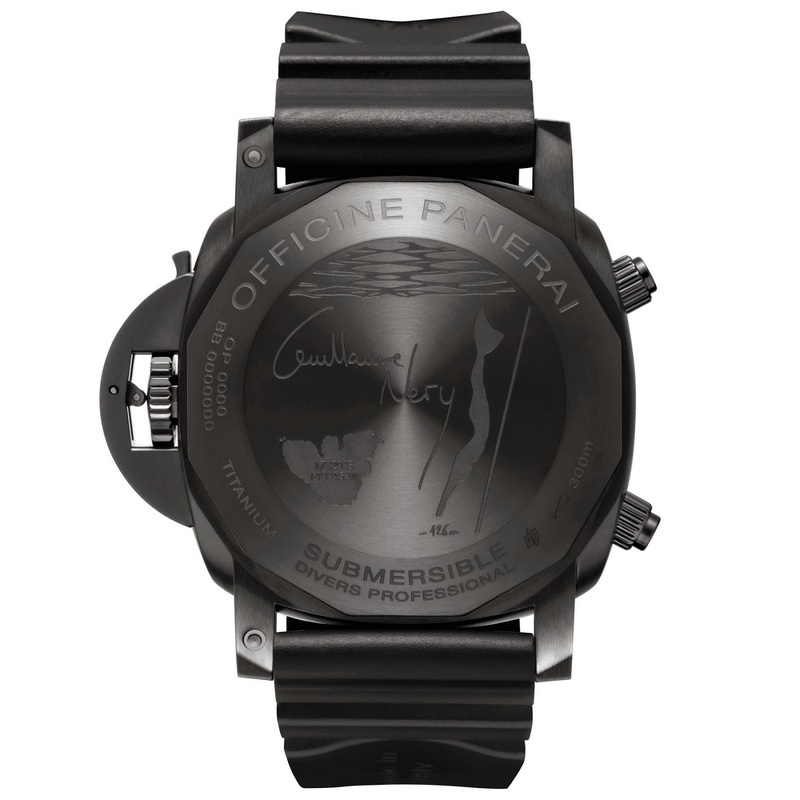 Panerai brand ambassador and record-breaking free-diver, Guillaume Néry can now add one more to his signature collection – a new Submersible Chrono Guillaume Nery Edition in DLC AKA PAM00983. 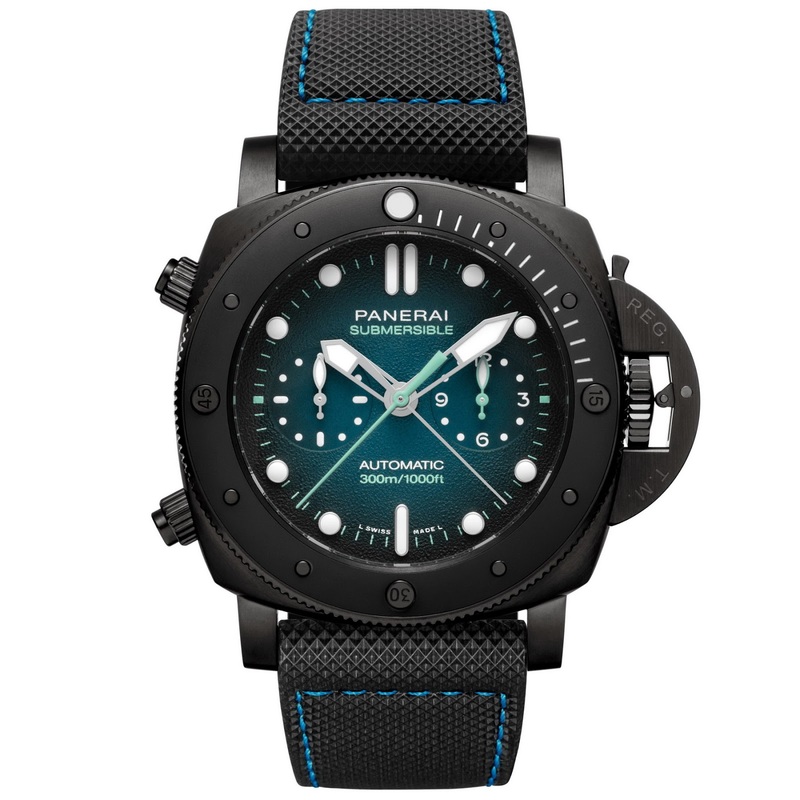 Like its brother, PAM00982, it has a 47mm Titanium case only now boasting a new black DLC coating along with a texturized dial in a stunning graduated greenish-blue color. 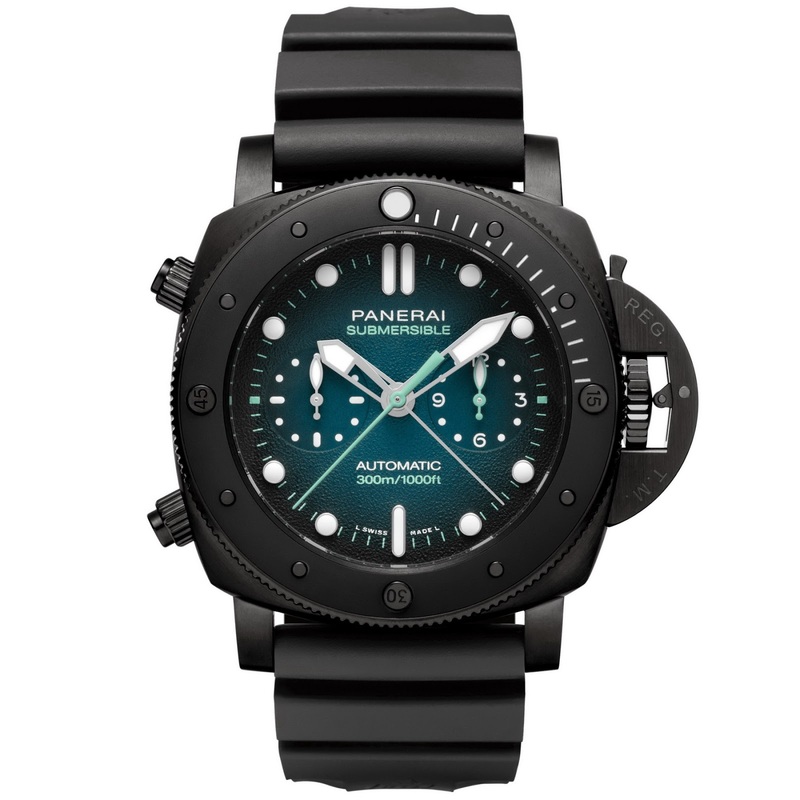 PAM00983 is available in just 15 pieces and only from Panerai Boutiques. 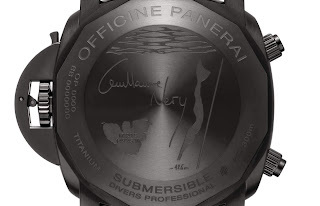 Its case-back is also engraved Guillaume Néry's signature and Moorea Island. Purchasers will have the opportunity to have a special freediving experience in the ocean among whales with the man himself, Guillaume Néry! Aesthetics aside PAM00983 has the exact same spec. 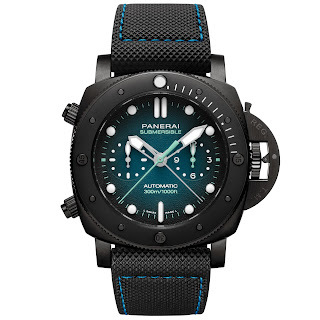 as PAM00982. 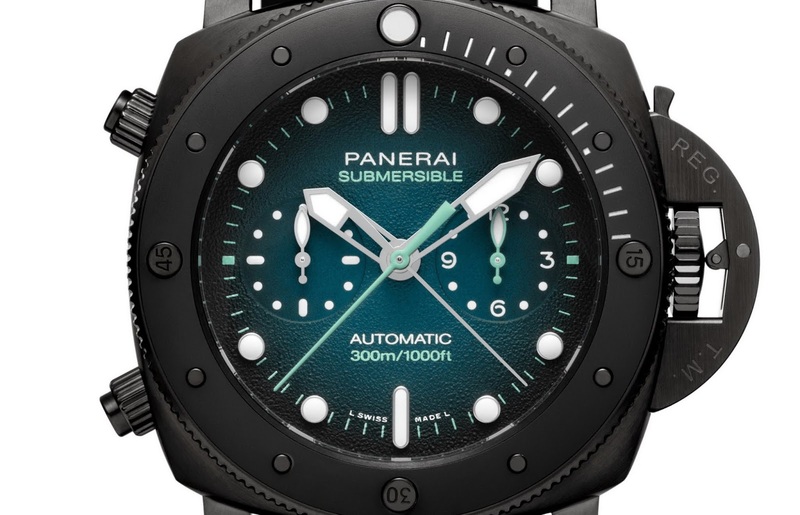 BTW, that has an MSRP of 19,400USD, so you can expect this DLC model to be around the 20K mark – ouch!